The video version of this newsletter is here. The emphasis on Kingdom influence in our culture is something the Lord is speaking in all of our hearts. One response is to focus on the shortcomings of the church. It’s a negative point and I don’t find diminishing the value of local churches or pastors very productive. The most glaring issue is the need for Kingdom leaders in other mountains who see the challenge of reaching our cultures / nations. That’s what fuels us… I think revival / reformation looks like the appearance of Kingdom inside our corporate, political and education cultures. I’m not opposed to another Toronto style revival (I believe one is coming that will hugely bless our churches), but there is something better and more lasting that my heart is longing for… a reformation that redeems nations and releases hearts. Poland – On a more personal note, I saw something in Poland that was very profound. Whenever we talked about hearing God through the desires of their hearts it was more than captivating. And whenever we prayed with individuals for those dreams it was prophetic and impacting. There is a bridge between individuals pursuing their hearts and the macro plan God has for corporations and nations. The path goes through Fathers… those who can connect and release hearts into their Kingdom calling in a practical way that shows up in a vocation and pays the bills. It’s very prophetic and spiritual, also very practical and financial. Lastly, this anointing knows no boundary between churched and unchurched or between saved and unsaved. This gospel of the Kingdom is very inclusive; Jesus is inviting everyone. So what does it “feel like” in the business world? Managing people – is a bit of an oxymoron. We manage servants and release Kings. We have to decide which we want on our staff because our leadership style will produce one or the other. God designed people to manage themselves on the basis of what he wrote in their hearts. The concept of just telling people what to do and holding them accountable is the failure of communism and religion. When we think of fathering in the sense of holding people accountable to a practical or Biblical standard (sharing our wisdom), it usually feels like the law to the disciple even though it may feel “prophetic” to the manager. Managers in business or the church world make this mistake routinely. Our management model is leading through assignments, procedures, guidelines and principles while totally ignoring the heart of the person we’re trying to lead. It’s preachy, egocentric and heartless at the same time. In effect, we impose our own desire on others under the guise of leadership. These autocratic leaders are focused on their own agenda even though it is often clothed as God’s will, the corporate vision, contractual requirements, safety or QA to make it sound more pious. Domineering, shallow leadership creates servants and kills dreams… both a prerequisite and a consequence of communism and religion to make the daily quota of bricks! 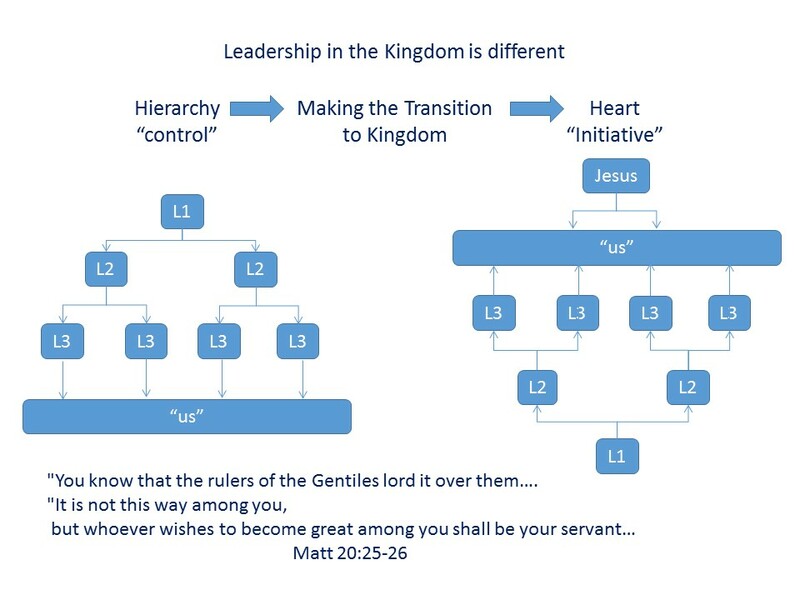 Kingdom leaders – There is a Kingdom style of leadership that gets better, practical results. If we leverage what’s written on individual hearts, and work with it instead of against it, we create a King who will exceed the production goals and the law… and go beyond our procedures, guidelines and principles. 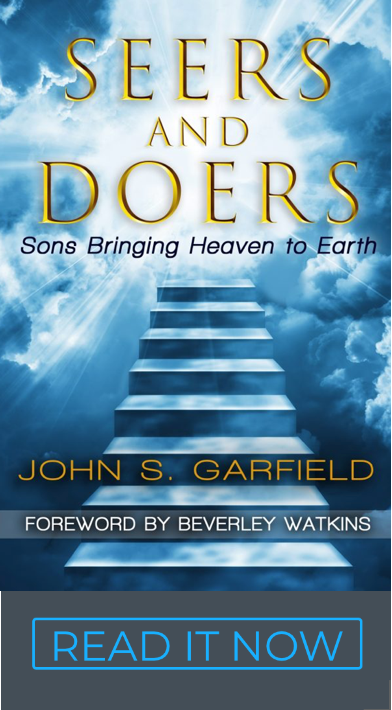 Instead of imposing an external agenda, these “fathering leaders” are helping people connect with their own hearts to become who they really are; instead of molding sons and daughters into their preconceived model of a corporate or religious android created in their own image. The difference – Servants gravitate to the comfort of hierarchy and when they become leaders, they emphasize control and loyalty. Kingdom leaders help people find what Jesus wrote in their hearts before they “lead.” The greatest leaders serve people by connect them with their own hearts and with the Father’s heart for the Kingdom. They end up leading people who are loyal to their own hearts and God’s heart first – they put the Kingdom first. What does this look like? Kingdom leaders have followers who are unafraid of initiative, creative and productivity. Their followers typically become leaders themselves and excel beyond their mentor. Does it work? – Does this sound too theoretical to be practical? In practice, it is very business practical, fruitful and Biblical. I spent a decade as an engineering manager and saw it work every day. The men and women who worked for me were intensely loyal, creative and productive… and they teased me about being their pastor. As humans we all do what is scripted in our hearts… for better or for worse. Nothing “mental” trumps this basic dynamic of human nature. Not threats, not accountability, not procedures, and especially not management. Everything externally imposed on the direction of our hearts carries the hopeless monotony of doing time while making bricks for a pharaoh. Open doors – The role of fathering in the corporate world is full of open doors right now. People are hungry for wise and spiritual leadership that gets results. The motivational leverage to inspire people with Kingdom purpose residing in their hearts instead of the requisite number of daily bricks needs no explanation. The difference is like night and day. 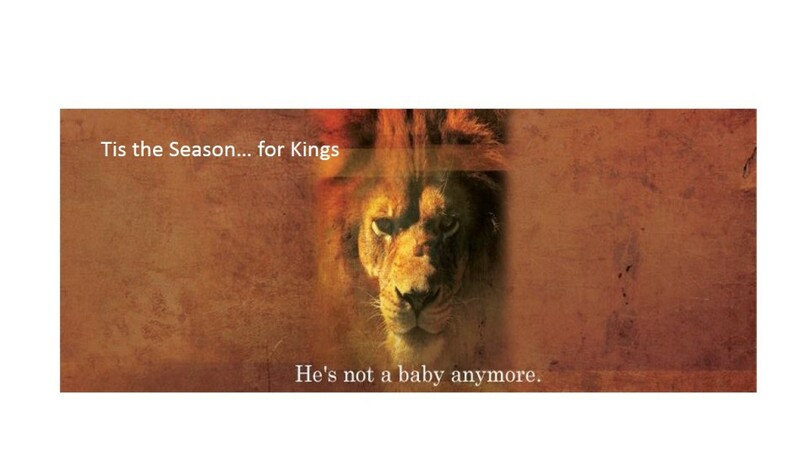 Kingdom is about the wisdom of Kingdom principles, but is even more about the person of the King – Jesus. Kingdom moves us from rules and procedures to relationships and anointing’s. The “new” is alive and full of meaning; the “old” is the prison of boredom, void of purpose. The transition from making bricks to co-laboring with the Father to build the Kingdom is the story of Exodus and it can happen in your heart and mine. Can you feel the invitation? 1. To lead from the heart requires that we be connected with our own hearts and have an understanding of what God has written there… a direction; a destiny. Assuming we know that direction and really “knowing” are two different things. Others can confirm the real thing, but they can’t give it to us. a. When you help another person connect with their heart, they will love you from the heart and treat you like a father. They deeply appreciate the release. It’s a jail break. It’s my favorite part of Releasing Kings… the love. b. Christians who have been in church for years are prone not to be connected with their hearts. The reason? We were all taught original sin and human depravity… that our hearts are filled with evil. Christians in general, are scripted to resist finding what God has written in their hearts and becoming themselves because of this theology. I wrote Releasing Kings out of my own experience for that very reason. 3. We can always find an amazing thread that God has already written in the hearts of leaders, staff, and the corporate direction. God’s Kingdom direction is waiting to be discovered in all three. It’s amazing! It’s like Jesus really is the head and he’s already got things organized! It’s both possible and practical to disciple nations. 4. We use a tool called the Heart Plan to help make these connections. So can you.